Istanbul, thanks to its unique position as a bridge linking Europe to the Middle East and Asia, is undoubtedly one of the most – if not the most – geopolitically important cities in the world. In these times of globalization, Istanbul’s importance seems to be growing even more rapidly in terms of the flow of finance and resources. While the Turkish government clearly supports Istanbul’s transformation into a center of finance, Istanbul also seems to have recently assumed the role of becoming an internationally recognized arbitration center. This article concentrates on the very recent investment environment in Turkey as well as on the new draft law on the Istanbul Arbitration Center. 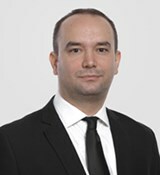 Dr. Cem Çağatay Orak is a partner at Çakmak Avukatlık Bürosu in Ankara.